This publication covers the trends and practices identified among the 149 eligible applications of the EPSA 2017 scheme, which ran under the overarching theme “An Innovative Public Sector in 2017: New Solutions to Complex Challenges”. It is divided into two parts: Firstly, the EPSA 2017 Trends and Practices, which analyses the EPSA 2017 nominees, best practices and best practice elements of some projects which have characteristics which deserve recognition and which may be of interest to other public administrations. In this part, the strengths and key points of selected EPSA 2017 projects are highlighted to give the reader an overview of the richness of submissions and emerging trends in public sector re-organisation and reform. Secondly, the publication contains the Best Practices Catalogue, which is composed of the statistical results of the EPSA 2017, a description of the EPSA evaluation and assessment methodology and, more importantly, the edited executive summaries and contact details of the 12 nominees and 22 best practices classified by administrative category. This publication highlights the trends identified from the EPSA 2015 practice-front in order to share best practice elements with the readers – as a source of inspiration for their own change projects. Thus, this publication presents a first analysis and taster of the novel solutions applied by public administrations across Europe. It is split into two parts: An EPSA 2015 Trends & Practices Report analysing the best practices and successful elements identified in the EPSA submissions, which are of interest to other public administrations looking for solutions on how to address current challenges. The general findings and common trends across the two administrative categories are sketched out in the joint conclusions at the end of this report. The second part of this publication contains the Best Practices Catalogue, which comprises the EPSA 2015 statistics and the edited executive summaries of the 64 best practices (9 nominees and 55 additional Best Practice Certificate recipients). In conclusion, this publication contains inspirational and working solutions which are ready to be adapted to and replicated by the readers’ public sector institutions in their own administrative cultures and systems. This publication aims to sketch out the trends, ideas and solutions in the various creative public management and service reforms submitted to the EPSA 2013 on the one hand, whilst pinpointing common elements or obstacles in their delivery – The Research Part. Key findings, among many others, include active strategies to promote economic growth, the ability to enhance social inclusion, the use of transparency as a means to promote better governance, or the smart deployment of ICT to boost trust in government and improve service delivery. Subsequently, the best and top-ranked 47 practices (15 nominees and 32 additional best practice certificate recipients) are described in the Catalogue, allowing the reader to not only get an idea of the innovation and drivers behind the cases, but also to directly contact the owners behind the applications in order to encourage the learning and transfer potential. This part is supported by data and statistics on the applications (e.g. type, country, size, fully or partly EU co-financed). This publication is again the result of the many applications received during this edition. Its main purpose is thus to shed light on the many public administrations efforts and to draw the future trends from these practices when analysing the innovative performances. The state of affairs and development of the three EPSA 2011 themes are mirrored against the respective applications received and the emerging, best or nominated practices are highlighted in order to subsequently arrive at common conclusions and recommendations. 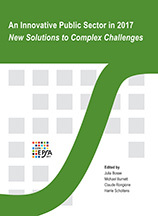 In addition, this book provides – for the first time – some insight into the grounds and motivation behind why public organisations participate(d) in initiatives such as the EPSA (EPSA Testimony), as well as outlining a possible model for measuring and defining the potential public added-value of such participation and the return on investment one may expect. The catalogue is structured into three parts. In the first chapter, data and statistics on the applications are provided, i.e. an overview of the projects by countries, administrative level, and size of administration or sectorial area of the submitting institution. Subsequently, the EPSA multi-step selection and assessment methodology and process is decribed in detail. The third chapter illustrates all the good practices following a brief introduction to each of the three EPSA 2011 thematic areas - Smart Public Service Delivery in a Cold Economic Climate (Theme I), Opening Up the Public Sector Through Collaborative Governance (Theme II) and Going Green: Concrete Solutions from the Public Sector (Theme III) - and ordered by country and EPSA registration number. Each case description also provides the reader with contact details of the submitter and how to find more information about the project in order to facilitate the exchange of good practice and lessons learnt. The catalogue is divided into two parts. In the first chapter, data and statistics on the applications are provided, i.e. an overview of the projects by countries, administrative level, and size of administration or sectorial area of the submitting institution. The subsequent chapter illustrates all the good practices following a brief introduction to each of the four EPSA 2009 thematic areas - Performance Improvement in Public Service Delivery (Theme I), Citizen Involvement (Theme II), New Forms of Partnership Working (Theme III) and Leadership and Management for Change (Theme IV) - and ordered by country and EPSA registration number. Each case description also provides the reader with contact details of the submitter and how to find more information about the project in order to facilitate the exchange of good practice and lessons learnt. 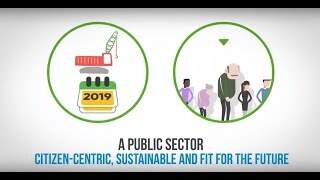 During the last 15-20 years the public sector has faced a number of challenges connected to changing socio-economic, environmental and political factors, including among others demographic changes, environmental changes, urbanisation, globalisation, diminishing “social capital” and less willingness to increase resources in the public sector despite higher demands and expectations of citizens for better services. These issues are strong drivers for change in Europe’s public administrations and generally cut across traditional boundaries of government departments, and in some cases of the responsibilities of different levels of government; this presents challenges to public administrations in the way they deliver their public services. Consequently, a number of profound reforms have taken place and continue to do so at all levels of public administration. The (ultimate) purpose of the different reforms is to make governments more responsive to society’s changing needs and demands.